One of the most common problems we see in the fall is the onset of foot pain when people begin to wear enclosed shoes again instead of summer sandals. Now that the weather is cold and staying cold, closed shoes are necessary to protect the feet from the cold air. Unfortunately, some people have a ticking bomb in their feet that is ready to go off as soon as the pressure of a closed shoe hits the foot. People with foot deformities like bunions and hammertoes usually have little to no pain when in sandals during the summer, as the shoes do not rub against the side or top of the foot. When the weather cools down and one returns to wearing closed shoes, the pressure from shoes that may not quite fit appropriately can irritate the bony prominences of these deformities. This leads to skin irritation and eventual joint inflammation as the bunions and hammertoes become irritated in the shoes. This can happen every year, or it can begin on its own one year in feet with bunions and hammertoes that previously never were bothered in enclosed shoes. If you suffer from this, you need to know that it can be treated, and the cycle of shoe pain can end. You can wear shoes comfortably again. Our surgeons can fix bunions and hammertoes, and give you a speedy recovery with as little disruption to your life as possible. These are outpatient same-day procedures, and our doctors have performed thousands of them. Give us a call for an evaluation this month, so we can see about ending your foot pain. I have foot pain from walking and standing all day on my job. It's in between my toes. Please help on how to treat it. I ordered new pairs of shoes already. Thank You! 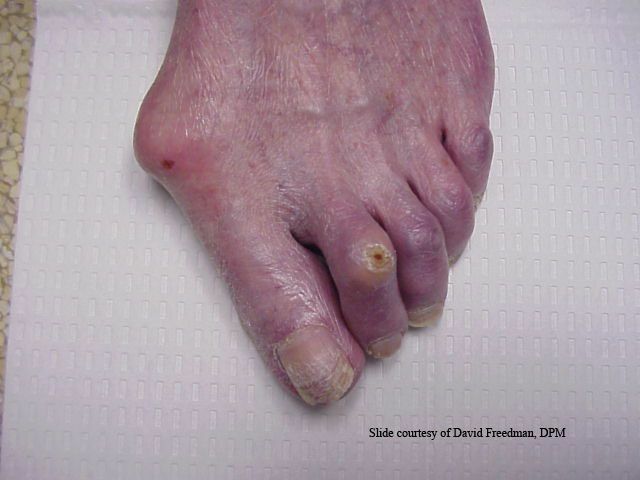 Posted on 07/21/2014 The Relationship Between Flat Feet and Bunions is Explained By an Indiana Podiatrist.